Tillberg Design of Sweden has set up shop in the 305 area code. The firm now numbers well over 100 employees, with the Miami office joining new real estate in Singapore, in addition to the company’s headquarters in Sweden and an expanding Poland presence. “We can respond quickly to any demands and be available to act as things are happening,” said Lindqvist, who noted he was working on multiple refurbishment and newbuild projects, but couldn’t divulge any details. “The refits are a business that is growing, and with our presence in Miami, it’s easy to do surveys,” he added. With 17 years under his belt at the design firm, Lindqvist said among his first big projects were the Star Cruises newbuilds, back in a time the design company numbered around 20 employees. Sensing the expansion of the industry, Tillberg expanded its own operations, welcoming new ownership and partners in 2018. 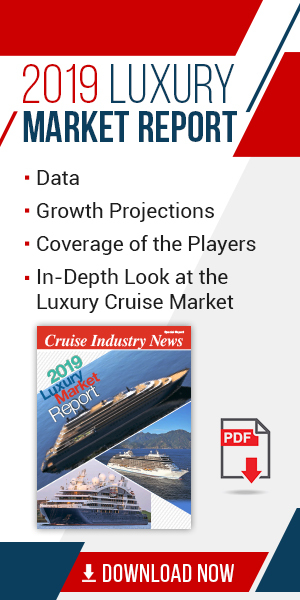 Among the trends have been projects starting much earlier as cruise lines compete for newbuild and drydock slots, and look to up their game even more. Another big focus area for the firm has been crew areas.